What is Applicant Tracking (ATS) Software? Applicant tracking software (ATS) is used by human resources professionals to better manage the entire recruiting process - from applicant searching, to screening, interviewing and hiring. These solutions allow you to manage large amounts of job applicants by sorting and filtering candidates based on pre-defined filters. They also provide a secure platform to store and backup key applicant information, including resumes, cover letters, screening tests, interview notes and progress reports. 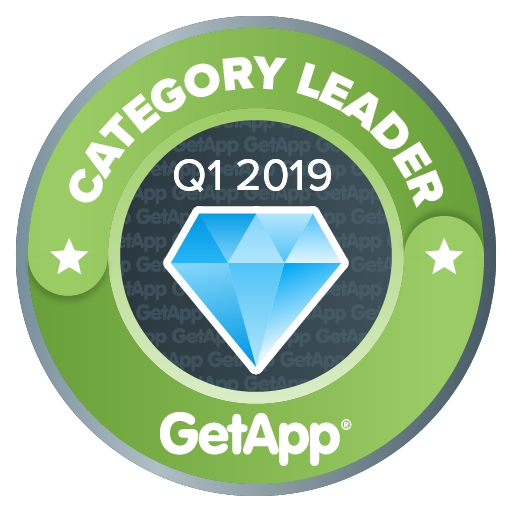 GetApp’s Category Leaders graphic identifies leading cloud-based software products in the Applicant Tracking System software category. If you’re a business owner or decision maker who is evaluating Applicant Tracking System technology options for your company, Category Leaders is for you. Category Leaders is focused on the North American Applicant Tracking System software market. To be eligible for inclusion, products must offer a core set of functionality, as determined by our research analysts, who provide coverage of and have familiarity with products in that market. Please see the “Functionality” section below for additional details on the core set of functionality we define for the Applicant Tracking System market. Since Category Leaders is intended to cover the Applicant Tracking System market at large, individual analysts use their market experience and knowledge, existing market-based research, and small business software buyer needs analysis to assess an application’s suitability for a given category depending on whether it can reasonably be expected to be relevant to most small business buyers across industries searching for a system with a strong focus on Applicant Tracking System capabilities. Core features: Applicant tracking, applicant workflow progression, and a strong focus on applicant tracking capabilities. Optional features: Candidate communications tracking, interview management, employee onboarding, job board posting, skills assessments, background screening, career development planning, collaboration tools, employee lifecycle management, pipeline management, reference checking, resume parsing, resume search, candidate self-service portal, social media integration, and training management. Category Leaders ranks key factors that small businesses should consider when assessing which software products may be right for them. These factors include user reviews, compatibility with other apps, mobile experience, functionality and product security.